Manwolf sightings continue to roll in. The two I’m sharing here are older but only a few months ago — while looking for something else — I found six-inch-plus canid tracks in a muddy field near Whitewater. The prints veered into the field from brush at the road shoulder, followed some deer tracks until it caught up and then the deer tracks ran off to a woods and the canine tracks were lost to drier soil. In 1983 me and 3 other friends were out driving around the Hubertus/Holy Hill Area. I was 18 at the time and The time was late evening around 11:30pm or so, as I drove through the winding wooded road, up ahead in my headlight beam we all saw a wolf walk across the road on 2 legs, after it cleared the road it got down on all fours and ran off into the woods briefly looking back at us. We never reported this because who would believe 4 teenagers joy riding at night, but I did tell my family and a few close friends. I’m still in contact with 2 of people who saw this with me. Now at age 47, I thought I would share my story with you since you have been recording sightings. The main thing that was ingrained was that it walked on 2 legs across the road. I remember saying wolves don’t do that, do they? The girls were scared and told me to start driving to get out of the area. It was summer time or we wouldn’t have been out that late, and the trees had heavy foliage. I used to work in Princeton, Minnesota, from 2005 to 2006. I lived in St. Cloud, Minnesota and commuted the forty minutes to work, taking state highway 95 between St. Cloud and Princeton. In March of 2006 I hit a deer at night on the way home from work, so I was always more cautious and attentive when drive after that. The place where I struck the deer was the northern edge of the Sherburne National Wildlife Refuge which butts up to the highway. Consequently I would slow down to about forty-five miles per hour when I would approach the refuge and drive holding down the high-beams switch; this allows me to drive with both high and low-beams at the same time. In mid-April, about six weeks after I struck the deer, I was passing the refuge, driving slowly, looking for deer. I saw the reflection of eyes, like a deer or raccoon, near the south bank of the highway. I slowed down further and the animal bolted out twenty feet in front of my car. It crossed the road from south to north. I wish I could tell you that it was another deer, but I’m convinced that it wasn’t. Whatever it was, it moved on TWO legs, not four. I only saw it for a few seconds and my adrenaline was pumping, thinking I was going to hit another animal, but I can see the flashes of what I saw in front of me in my mind’s eye as clear as yesterday. It’s forward limbs did NOT touch the ground. This was bipedal, maybe six or seven feet tall. It was brown or maybe dark grey. The eyes were reflective, like a deer’s. It’s limbs were long and robust like a man’s, not spindly, like a deer’s. I think that it was covered with hair or fur, accounting for the color. And the shape of it’s face was not flat like a man’s, but prognathic to the point having a snout, like a dog’s. It ran north across the highway and I accelerated west toward St. Cloud. Damnedest think I ever saw. I have a degree in anthropology with a minor in biology, and a degree to teach social studies. I’m a teetotaler and have no serious religious convictions. The point is that I’m not prone to flights of fancy or wild imagination. I didn’t see a deer or a black bear. And if it was a man in a suit he ran the risk of becoming road kill. This looked alot like what folks have been describing as the “Michigan Dogman” or the so-called “Beast of Bray Road.” I get the sense that it did have triangular ears. I can’t be totally sure on that, though. I didn’t see it’s feet; however the walk seemed like there was a “spring” in it’s step. That makes me think that it wasn’t walking flat-footed, but on the balls of its feet. Thanks Linda! I just got that book and haven’t seen that entry yet. I will read it right now! I am a dork on the computer and can’t figure out how to put the photo of the casting on this blog, so I will send the photo to your email address. It is about 6 inches long and 5 1/2 inches wide. Thanks for the reply. 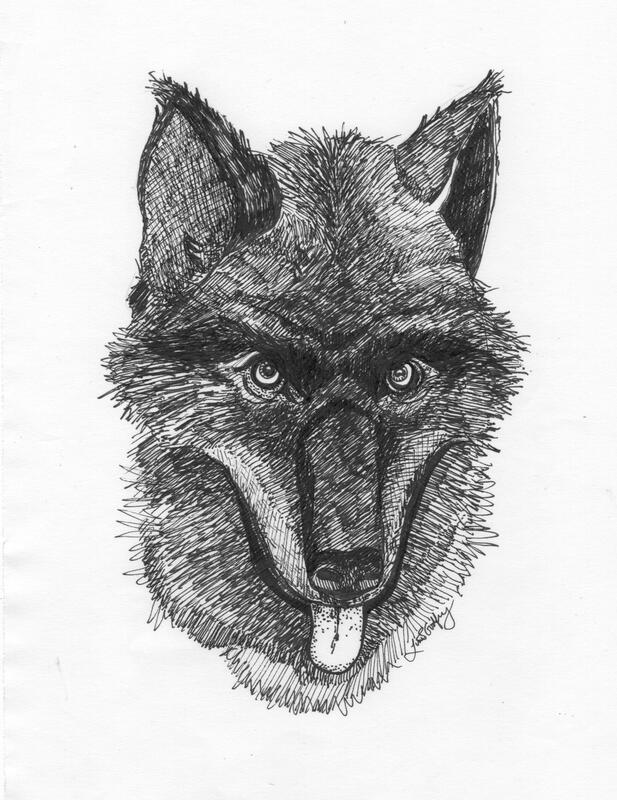 There is a truly frightening encounter in Real Wolfmen that occurred just south of Wichita. Your track does sound like Dogman — photos? I live in East-central Kansas where there are no fun critters abounding (sure wish there were), but I did cast a track of something very similar to the track shown here. It looks like it’s about the same size, has 3 toes (it’s possible one toe did not leave a track) with pads and claw marks, as well as an obvious pad at the back of the foot track. The closest size comparison would be a Mt. 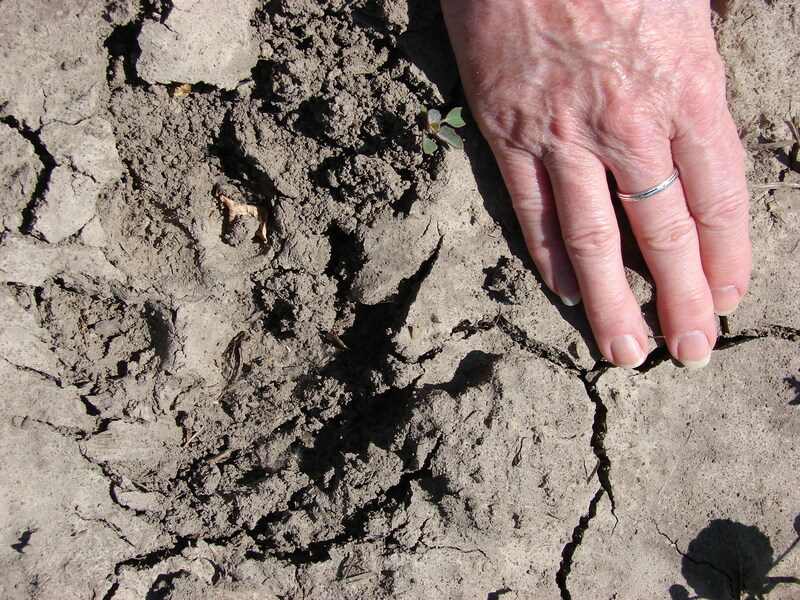 Lion track which are being seen in the area lately, but the track has obvious claw marks. This was found in the woods between the river and a small lake on my property. There are many deer and turkey in the area. No weird sounds or other clues. To my best knowledge, there are no wolfman sightings in this area, or have you heard of any in this part of the country? Thanks! Bli’me so there really are a race of vertical lassies. Battle Baboons of the Ancient Minoan Copper traders left behind to fend for themselves. I always say …I know what I saw and it was no wolf, coyote, bear or any critter that should have been there or anywhere for that matter.